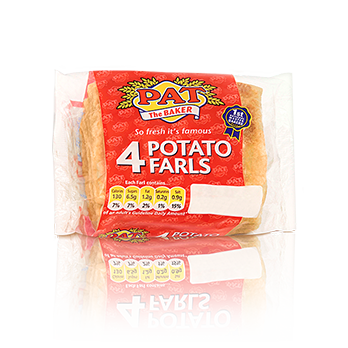 Pat The Baker Potato Farls are made the old fashioned way. they make a great snack when toasted. 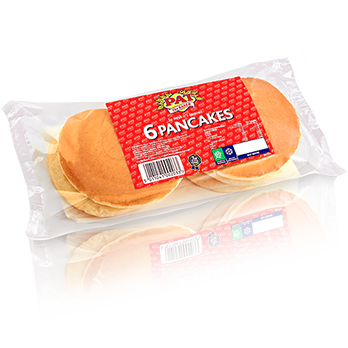 Pancakes are a wonderful addition to any breakfast. Excellent toasted with butter, even better with maple syrup. 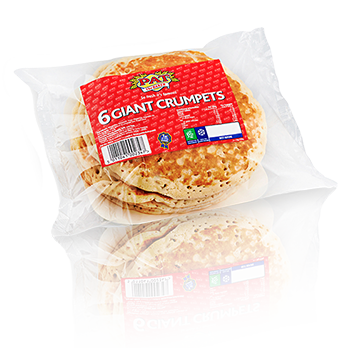 Pat’s giant crumpets make a delicious mid morning snack. 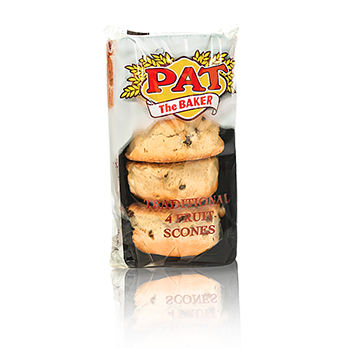 Pat’s yeast free fruit scones, made with fresh buttermilk and sultanas, making them a wholesome homely taste, bringing back those fond memories. 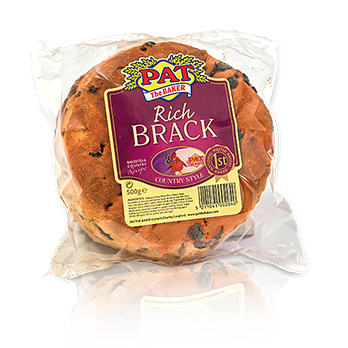 Pat’s Brack, packed with sultanas for a very special result – “enjoy” as a tasty tea time treat. 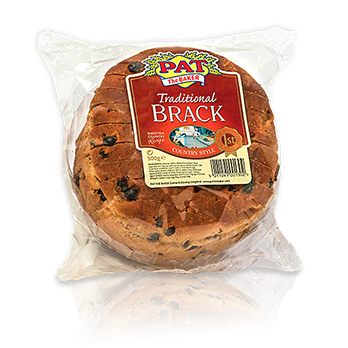 Baked to a traditional recipe, Pat’s traditional sliced brack is an excellent accompaniment to any meal. 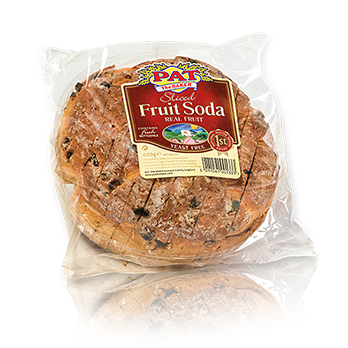 Combination of fruit and white soda bread, creating a winning formula. It is also yeast free and made with fresh buttermilk. 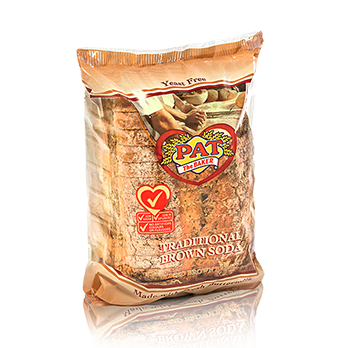 A premium malted brown bread –”a firm favourite and unique taste”. Ideal for toasting and special sandwiches. 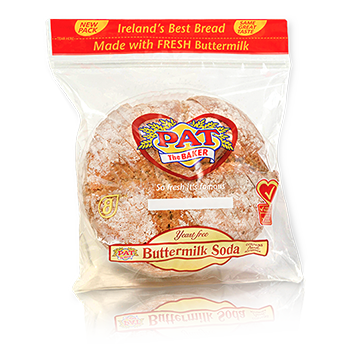 Made with fresh buttermilk – our Soda is not only deliciously tasty, it is yeast free, low in sugar, fat and saturates. 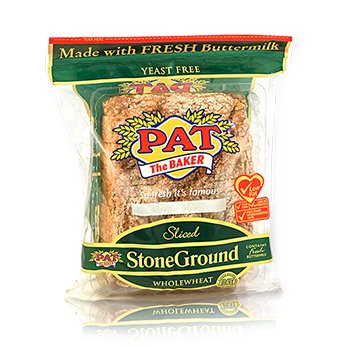 Produced in a traditional loaf tin, sliced thick for your convenience. 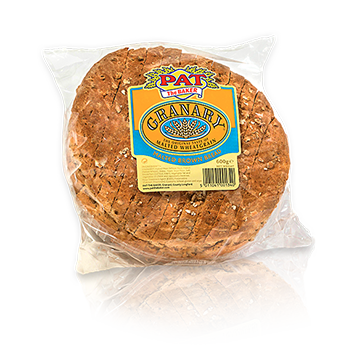 Extremely popular, made with fresh buttermilk and kibbled wheat, adding a crunchy bite, making it the ideal bread, that can accompany any dish, hot or cold. Copyright © 2015 Pat The Baker. All Rights Reserved.